The Government and Organised Labour at their ongoing talks on the reduction of utility tariffs, on Wednesday resolved to provide relief for lifeline consumers and other vulnerable groups beginning February 1, this year. The relief includes 45 per cent increment instead of 59.9 to consumers in the brackets of 0-50 units, while those within 51-300 units would pay 50 per cent increment instead of the original 59.9 increment. A statement signed by Mr Haruna Iddrisu, Minister for Employment and Labour, Mr Kofi Asamoah, Secretary General of Trades Union Congress (TUC), Mr Terence Darko, President, Ghana Employers Association, and Mr James Asare-Adjei, President of the Association of Ghana Industries, said tariffs for other consumption bands remained unchanged. The statement said as agreed in 2013, the stakeholders had renewed their commitment to the implementation of the Automatic Tariff Adjustment system to avoid large increases associated with non-implementation. The statement also directed the Electricity Company of Ghana to, within the next two weeks, rectify all billing anomalies associated with the utility tariff adjustment that took effect from December, 14 2015. Following the recent announcement of increases in utility tariffs by the Public Utilities Regulatory Commission and the reactions of organized Labour and other stakeholders, a joint negotiation committee was formed. A series of meetings and negotiations were held and the parties involved subsequently agreed to settle the issues on the agreements stated above. 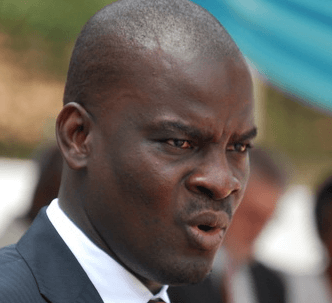 Mr Kofi Asmaoah said while conclusions had been reached on the electricity tariffs, further negotiations would be carried out on water and other levies that were imposed on petroleum products.